The question, “How much are you worth?” might cause you to go on a philosophical journey to uncover your intrinsic value, but in this case, the question is more literal. It’s asking how much money your body parts are worth. While you’re probably now imaging the posthumous trafficking of your organs on the black market, there is a thriving legal market for those looking to sell their body “products” while living. From human hair to blood, people around the United States are cashing in on their bodies. Egg donation is one of the few areas where women earn more than men. This is partially due to the complicated nature of the painful egg harvesting procedure compared to that for sperm. After undergoing extensive medical and psychological examinations and meeting all of the American Society for Reproductive Medicine (ASRM) guidelines for egg donation, a woman can begin the donation process. Although the ASRM states, “Total payments to donors in excess of $5,000 require justification and sums above $10,000 are not appropriate,” there have been instances of women being paid well above the suggested compensation rates for their eggs. That’s because they are merely recommendations and not federal laws. Consequently, there’s an entire egg donation industry targeted towards “elite donors,” or women of superior beauty, IQ, and athleticism, among other attributes. One such agency is The Egg Donor Program in California. When asked how much they’d be willing to pay an attractive Princeton University graduate for her eggs, they readily offered a $10,000 minimum payment for the first donation. However, they made it known that their donors have been paid upwards of six figure amounts, while most exceptional donors make $25,000 to $35,000 for their donations. At first glance, The Egg Donor Program’s website could be mistaken for a dating website or booking agency rather than an egg donation company. It markets itself as an exclusive club where selected donors are referred to as “Premier Donor Angels: beautiful, accomplished, highly educated” (www.eggdonation.com). These programs generally have stricter donor requirements than those suggested by the ASRM. For example, the ASRM requires donors to be between 21 and 34 years of age, but elite donors are usually between 20 to 30 years old and college educated. Although the compensation rates for sperm donation are much less than egg donation, they can be made much more frequently and easily. Participation in sperm donor programs usually requires a six to twelve month commitment wherein participants must donate two to three times per week. This means that men can earn upwards of $1,200/month for every acceptable donation (as donors only get paid when their sperm count meets a certain standard). Like egg donation, there are expert guidelines and recommendations, but no regulation as to who is donating or how often. This is controversial when it comes to how many pregnancies result from one sperm donor. While the ASRM suggests 25 live births per population area of 850,000, there have been reports of donors having over 100 genetic children (conceptionconnections.wordpress.com). As with egg donation, there is big business for exceptional sperm donor programs where agencies are highly discriminatory in their donor selections. Agencies such as NW Cryobank require donors to be a minimum height of 5’10, between the ages of 18 and 35 years, and “within the normal limits of weight for [their] muscular build and height.” Meanwhile, the ASRM suggests donors be between 18 and 40, with no mention of body type. Another elite donor agency called Fairfax Cryo Bank (where accepted donors join Club Fairfax) gives donor recipients the option of using their FaceMatch™ program when selecting a donor. This allows them to submit a photo of their face or a celebrity’s face into the donor image database. The program then finds donors with a similar look to the photo submitted. In other words, if donor recipients want their baby to be a mini Brad Pitt, Fairfax Cryo Bank is for them. For this body part, it’s not so much donated as it is “rented out” for nine months, but for a high cost. 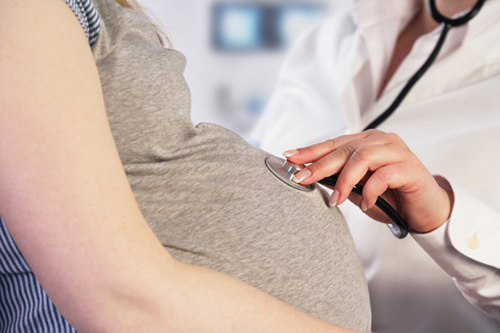 Not only are there monetary expenses for using a surrogate, but also legal implications. There are few states in the U.S. that allow commercial gestational surrogacy or surrogacy in which the woman is unrelated to the fetus and is contractually compensated for carrying the baby. New York and New Jersey are among the states where surrogacy is nearly impossible. However, when it is allowed (as in California, Rhode Island, and Connecticut) women can make large sums of money (creativefamilyconnections.org). Most agencies like Shared Conception require surrogates to have birthed and raised at least one child prior to being accepted. Experienced surrogates who have had uncomplicated previous pregnancies usually receive an additional $5,000 on their base compensation rate. But, like elite sperm and egg donation programs, there are exceptional surrogacy agencies that pay higher compensation rates for “gifted” surrogates. Since there are huge emotional risks involved in surrogacy, the parents of the baby being carried should expect additional legal fees in order to uphold their contractual agreement with the surrogate. Until the feeding bottle was introduced in the 19th century, wet nursing was a bona fide profession with contracts and laws to regulate the practice (A History of Infant Feeding, Emily E. Stevens, Thelma E. Patrick, Rita Pickler). However, there has been a modern resurgence of the wet nurse, but in a slightly different form thanks to the internet. Websites like onlythebreast.com allow women to post whether they’re interested in buying or selling milk and then categorize it under options like “Special Diet (Vegan, etc. 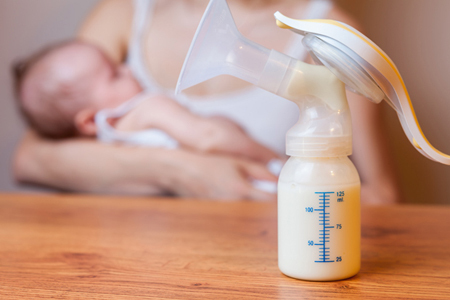 ), Selling Locally, or Selling in Bulk.” Users also specify how old their baby is as the breast milk composition changes based on the amount of time it’s been since birth. The younger the baby, the more a woman’s breast milk is usually worth. Such online forums are unregulated, and thus, could potentially pose a risk to the individual consuming the milk. In fact, the FDA recommends against feeding your baby breast milk acquired directly from individuals or through the internet (www.fda.gov). A safer alternative comes in the form of milk banks that take voluntary steps to screen milk donors and safely collect, process, handle, and store the breast milk. While many milk banks do not compensate women for their milk donations, The Mother’s Milk Cooperative pays $1/ounce. The compensation rates for breast milk might not seem worth the trouble, but according to KellyMom.com, the average baby consumes 25 ounces of milk per day. If a woman received $2.50 per ounce for a year, she’d make well over $20,000 annually. Hair certainly makes the cut when it comes to high value body products. Men and women can post hair classifieds on websites like Hairwork.com or HairSellon.com to buy and sell human hair. In high demand in the beauty industry to make hair extensions and wigs, human hair can be worth a significant sum of money under the right conditions. According to Marlys Fladeland of Hairwork.com, long, straight, red hair that’s never been dyed is usually worth the most money. While prices vary depending on inches available, color, and texture, Fladeland reveals that one woman from Indiana received $4,000 for 31 inches of hair in 2013. On HairSellon.com, people set their own prices for their hair and in the description often include information on their race, hair washing habits, and even their diet. The website also features a hair pricing calculator tool to help people estimate the value of their hair by inputting the length, color, thickness, and condition. What exactly is human blood plasma? It’s the liquid portion of blood that contains 500 different types of protein, and according to the American Red Cross, around 150 of these can be used to diagnose diseases or manufacture therapies. In other words, blood plasma is of high demand in the medical field, so much so that they pay people to donate it. According to DonatingPlasma.org, in approximately 90 minutes, people in good health between the ages of 18 and 69 can donate their plasma for money. While compensation rates vary nationwide, donors get compensated according to their weight. The more a donor weighs, the more plasma can be collected, and therefore, the more money made. The compensation range is generally 20 to 50 dollars. The FDA limits donations to twice within a seven-day period, so a frequent donor can make upwards of $400 per month, or almost $5,000 annually. Donor locations have also been known to include bonuses or incentives like movie tickets or gift cards to frequent donors or those who bring a friend with them to donate.